Whether you are preserving items your child’s cherished items today, items from your own childhood, or from your parents and grandparents, choosing the right storage solutions will make all the difference as time passes. Childhood artwork, schoolwork, and other documents can be preserved for years to come, so everything will be just as you remembered. Affordable Family Storage in Des Moines offers excellent customer service, a variety of storage solutions, and helpful advice. Read on for more information on today’s blog. Use only acid-free paper products for storing artwork and documents. Archival boxes are best, but any product that is designated as acid-free will work just fine. For your most delicate and important items, consider a polyester sleeve for extra protection. Make sure that your folders and boxes are big enough to safely store your items without bends or creases. If an item is bent at the time of storage it will leave a permanent crease. Photo albums aren’t just for pictures! A large photo album is a perfect choice for preserving childhood drawings. Cherished childhood artwork will look beautiful in an album, backed by cardstock and protected by plastic sheeting. Once your items have been properly preserved with the right materials, it’s time to choose a protective storage container. A sturdy plastic container with a tight-fitting lid is recommended. This will protect your favorite childhood artwork and documents from humidity, dust, and pests. Cardboard boxes are not recommended, because they are vulnerable to penetration by moisture and pests. Remember to place your containers on a shelf or cabinet, not on the ground. 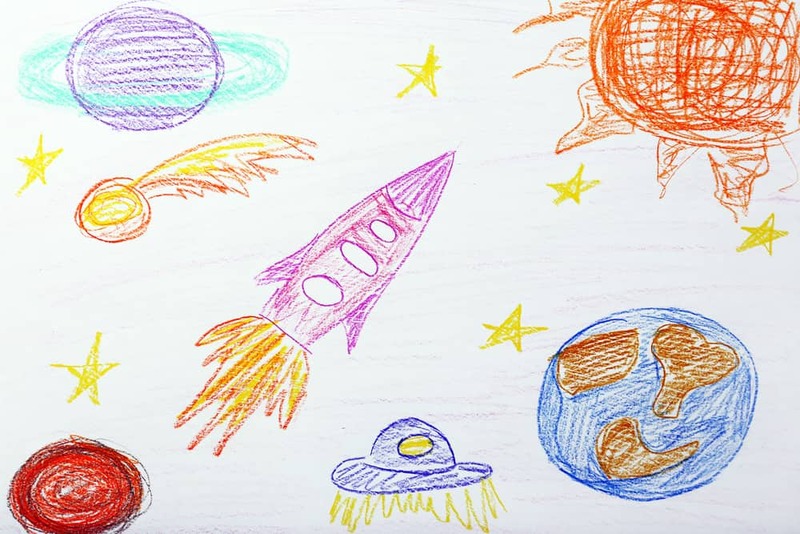 Once you have ensured that the original copies of your favorite pieces of childhood artwork have been preserved, consider making digital copies. Digital copies are great for sharing with family members and posting on the internet. For peace of mind and easy sharing, digital copies are a great idea. Managing temperature and humidity is key to the preservation of photographs and documents. Affordable Family Storage offers the perfect storage solution to meet your needs. Our climate-controlled storage units manage temperature, humidity and air quality, so your most valuable possessions are safe and secure. At Affordable Family Storage, our priority is protecting the things that are important to you. When you want to be absolutely certain that your cherished items will be preserved, we have storage solutions to meet your needs. Contact us today for information about the best storage solution for you!